During Cracker's heyday in the 1990s, the Virginia-based band molded elements of alternative pop/rock and country into several irreverent, buzzworthy anthems. Singer/guitarist David Lowery made no attempt to mask his affinity for traditional roots music, but his own background was far from traditional, as he spent the '80s fronting the quirky alternative outfit Camper Van Beethoven. 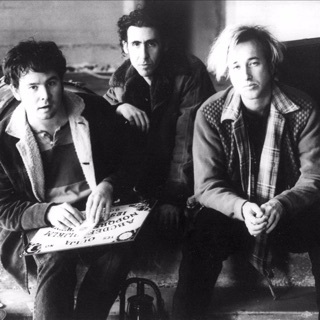 Shortly after Camper Van Beethoven embarked on a long hiatus in 1990, Lowery began demoing new material with guitarist Johnny Hickman and bassist Davey Faragher. The three musicians named the project Cracker (although several of those early demos would later surface under the title David Lowery Demo Mixes) and set up their headquarters in Richmond, Virginia. By 1991, the band had signed a recording contract with Virgin Records and enlisted the help of several drummers (Jim Keltner, Rick Jaeger, and Phil Jones), all of whom helped shape the sound of Cracker's debut album. Cracker released their self-titled debut in 1992. 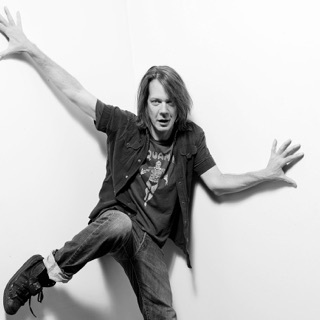 Filled with guitar-driven rock songs and gravelly vocals, the album established Cracker's presence in the rock arena, and "Teen Angst (What the World Needs Now)" became a number one modern rock single. A year later, the sophomore effort Kerosene Hat spawned another popular MTV/radio hit with "Low," which charted in the U.K. and also cracked the pop charts in America. The album went platinum as a result. By the time Golden Age arrived in 1996, however, the band's hitmaking lineup had begun to splinter. Bassist Faragher was replaced by Bob Rupe, while the drum spot was occupied by a trio of players: Charlie Quintana, Eddie Bayers, and Johnny Hott. Golden Age spun off another hit with "I Hate My Generation," and the band toured in support of its release. After returning home from the road, Lowery began focusing on his Richmond-based recording studio, Sound of Music, where he produced such artists as Joan Osborne, Lauren Hoffman, Magnet, Fighting Gravity, and Sparklehorse. He also co-produced the Counting Crows along with former Camper Van Beethoven producer Dennis Herring. Lowery's work wasn't limited to the music world, however, as he co-starred in director Eric Drilling's independent film River Red (also composing the film's score) and appeared in another film, director Matt Leutwyler's This Space Between Us. By the end of the decade, Cracker seemed to have settled on a somewhat permanent lineup comprised of drummer Frank Funaro, keyboardist/accordion player Kenny Margolis, and the preexisting core of Lowery, Hickman, and Rupe. This version of the band issued 1998's Gentleman's Blues, a more reflective album that saw the musicians paying homage to Southern rock and blues. Camper Van Beethoven unexpectedly re-formed shortly thereafter, and Lowery began splitting his time between both bands, whose other members frequently joined whichever group was on the road. Cracker (along with select musicians from CVB) issued a live album, 2001's Traveling Apothecary Show & Revue, and Cracker followed its release with Forever (2002) and a rowdy set of country covers called Countrysides in 2003. The latter album also marked Cracker's first effort as an independent band, as they had recently left the Virgin roster. Three years later, Cracker returned (this time via the U.K.-based indie label Cooking Vinyl) with Greenland, which featured help from guest artists David Immerglück and Mark Linkous. Another concert release, Live in Berlin, December 2006, arrived in 2008, and the studio effort Sunrise in the Land of Milk and Honey, which cracked Billboard's Top 200 chart, followed one year later. That same year the band went on a tour of Iraq, playing for U.S. troops while working on the "Yalla Yalla" video, which was produced by compiling YouTube videos of American soldiers stationed overseas. Public radio network NPR profiled the tour on their weekly series The Show. A year later, the band played a series of sold-out shows with Camper Van Beethoven dubbed the 2010 Traveling Apothecary Tour.